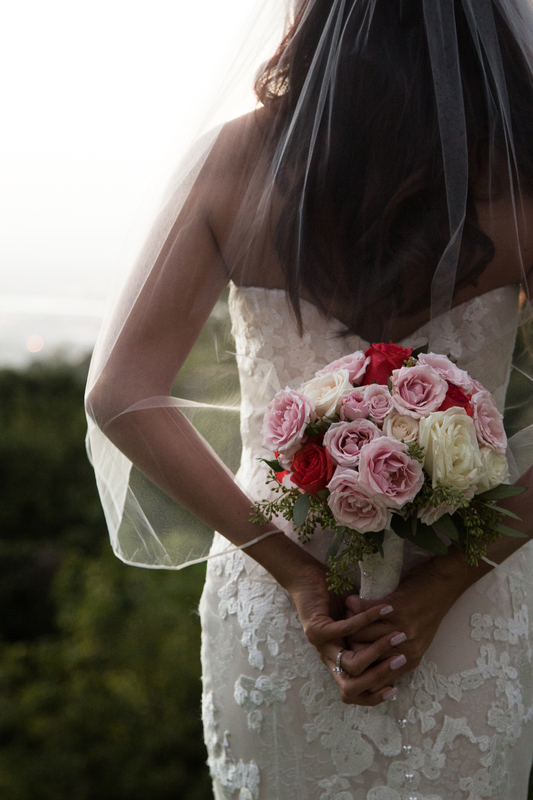 Sayge and Kai decided to have their wedding vows at Central Union Church, an iconic church in Honolulu with grand Colonial-revival sanctuary and high-reaching steeple. But for an added casual touch, the two held their ceremony just outside of the Atherton Chapel in the lawn under the grand Monkeypod Tree. 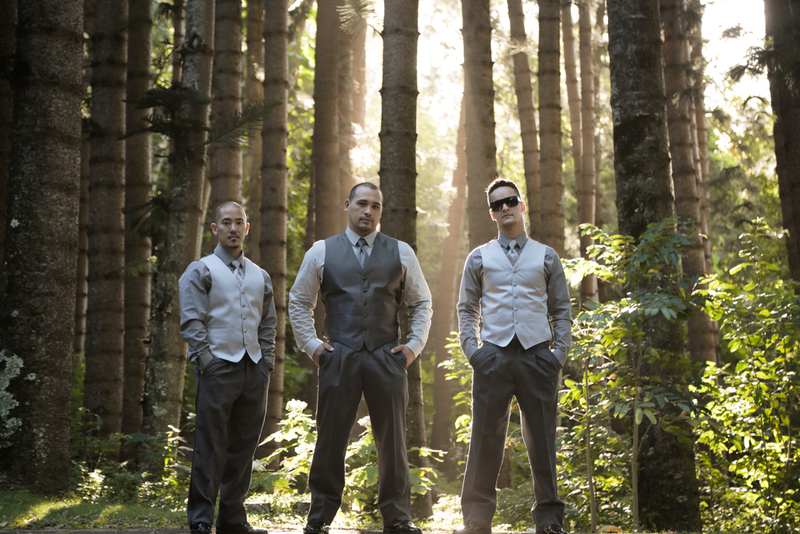 The lawn was the perfect place for an afternoon wedding ceremony, with the cool Mānoa tradewinds blowing in the shade of the tree. I think that I have driven by and visited Puʻu Ualakaʻa State Park (Tantalus) many times and I have to be honest - I have overlooked this little spot and haven't even given it a second thought. 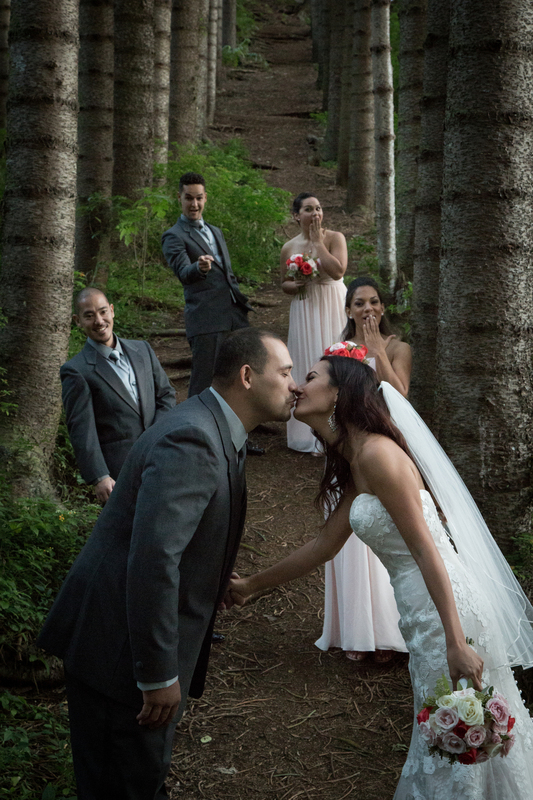 Michelle and Charles decided to get married at Tantalus, but their choice of location for the ceremony was not the typical spot at the lookout. 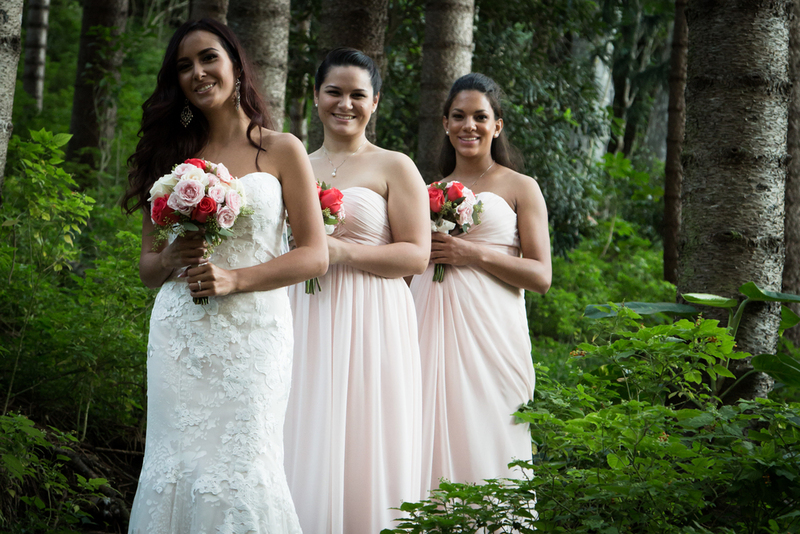 There is a small out-cropping of pine trees on your way up the road that hosted this quaint, yet very beautiful ceremony. I think the best part of their location was that it is located next to the (also hidden) Nutridge Estate. 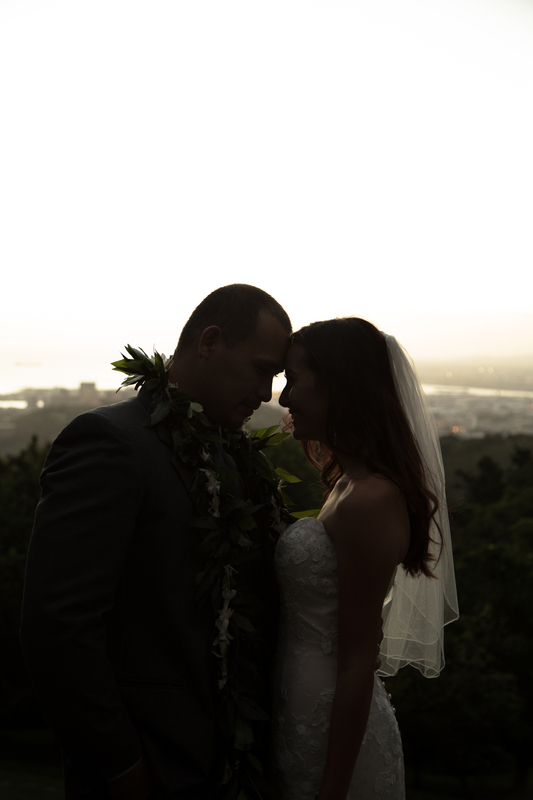 During our wrap-up of their formal shots, the care-taker offered his estate and breathtaking sunset view of Downtown Honolulu. Naturally I was excited to take advantage of the beautiful, albeit quickly fading, sunset. Next time you drive through Tantalus, stop in at the Nutridge Estate and check out this little hidden gem.